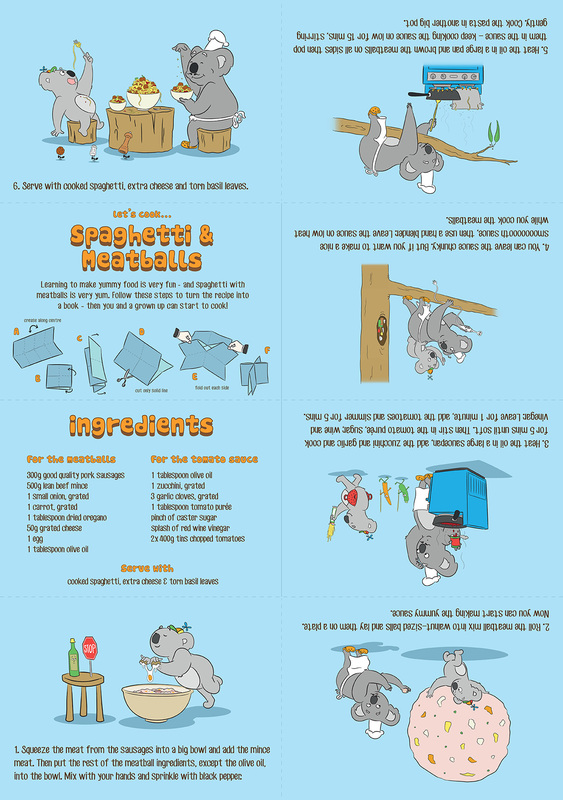 Follow along with a curious little koala and his dad as they show you how to cook a delicious and healthy dinner. With a few folds and one simple cut you can make your very own recipe book. Look closely at the drawings to see what parts of the recipe kids can do.